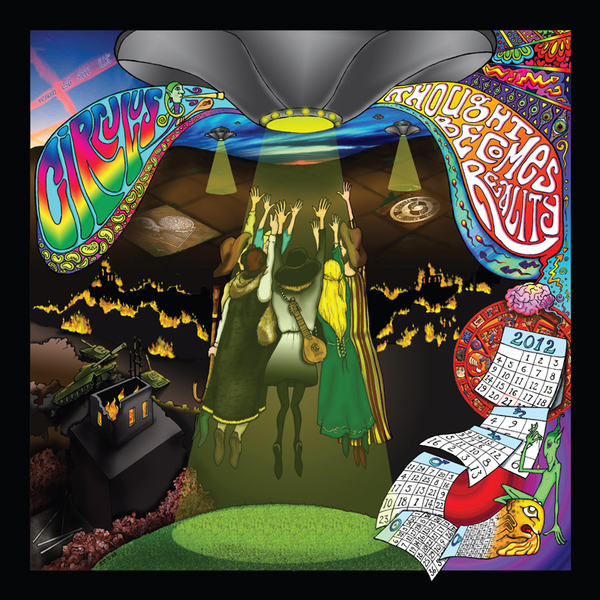 If you're yet to delve into the lute-toting, UFO-summoning, silly hat wearing world of Circulus, here's a good chance to hear what they're all about. Even by regular freak-folk standards this lot (led by Michaek Tyack) are extra loopy, living in an imaginary iron age and modelling their stage get-up on medieval dukes. There's a lot of nonsense written about this band - mostly by the band themselves, and while it's entertaining enough to read their witterings about flying saucers and their love of pixies (and not the Frank Black / Kim Deal kind), it's easy to forget that they can actually write and play pretty well. Unless you're the sort of person who finds Jethro Tull a bit too modern and punk rock, a song like 'Fortunate Ones' is unlikely to make a convert of you: these unyieldingly fantastical prog-folk fripperies would probably share the same space in your record collection as Spinal Tap's 'Stonehenge', except it's really hard to work out to what extent these guys are playing for laughs. The monologue at the start of 'Guide Our Way' is easy enough to chuckle through, though on their rendering of the 13th century Middle English round 'Sumer Is Incumen In' the deeply impressive instrumental and vocal details suggest these guys are for real, presenting an example of exactly why it's so difficult to brand these guys as mere jokers. Through all this you wonder if somewhere in Philadelphia, Espers are asking themselves: "that's not what we sound like is it? ".